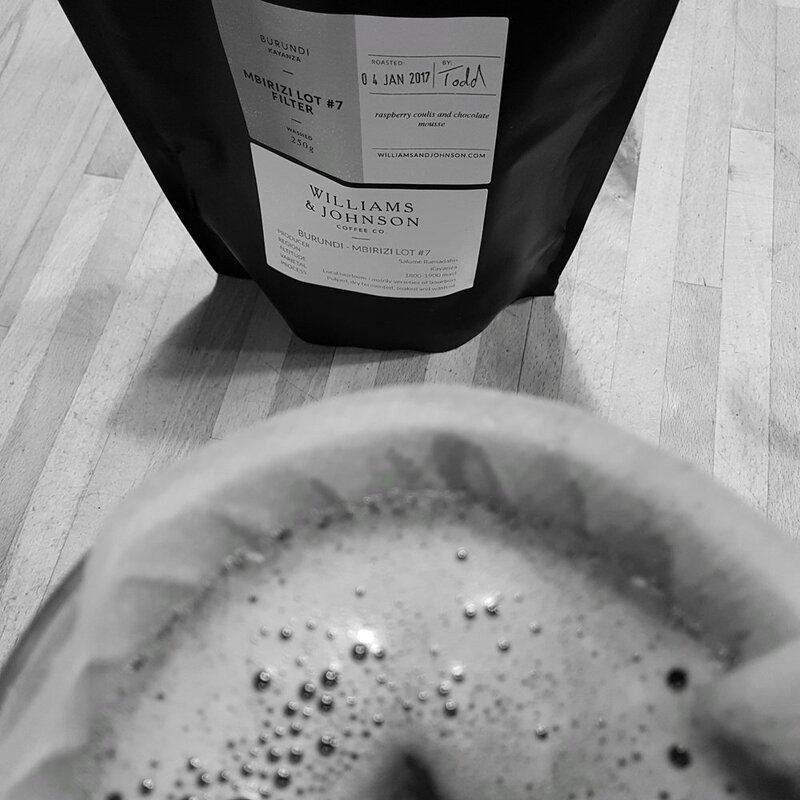 I first tried Williams & Johnson’s Burundi Mbirizi Lot #7 during research for my review of Foodstory in Aberdeen. Due to a malfunctioning grinder, it didn’t live up to the esteem in which the barista held it (see review), but he was so passionate about the coffee that I resolved to order some and try it for myself. Then I got distracted by other things, but the prospect of unearthing what was hiding in that coffee stuck with me, and so last week I decided to finally give it a shot. And here we are. 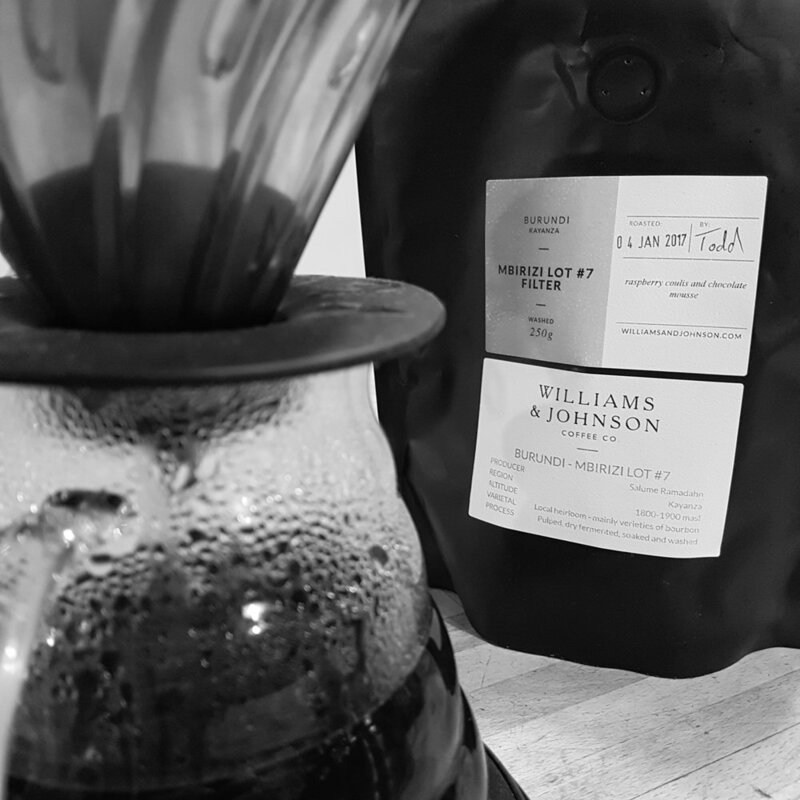 Williams & Johnson, based in Leith, have exploded onto the Scottish coffee scene of late (they’re not even featured in last year’s Scottish Independent Coffee Guide). More and more cafes are hosting them, either as their main offering or on rotation with other roasters, which is a sure sign of their growing influence. They also take a novel approach in that they roast the same coffee two ways, for filter and for espresso. They currently have two offerings, a Colombia Yacuanquer and this Burundi from the Kayanza region in the north of the country. 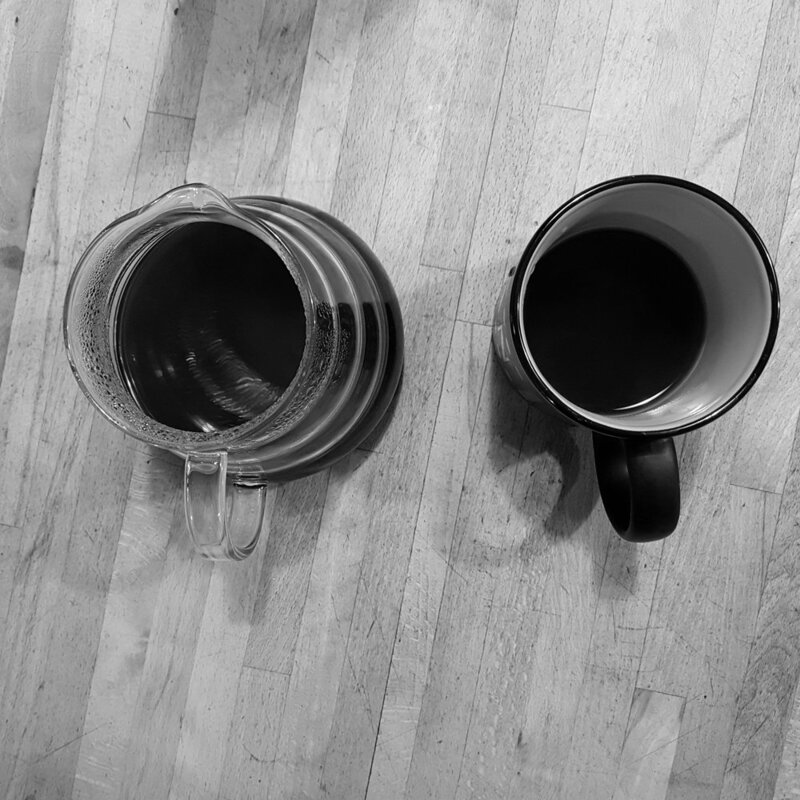 I respect the restraint shown in only having two coffees at any one time, as it shows that the roaster’s attention has been carefully focused, rather than diluted amongst reams of origins and styles. 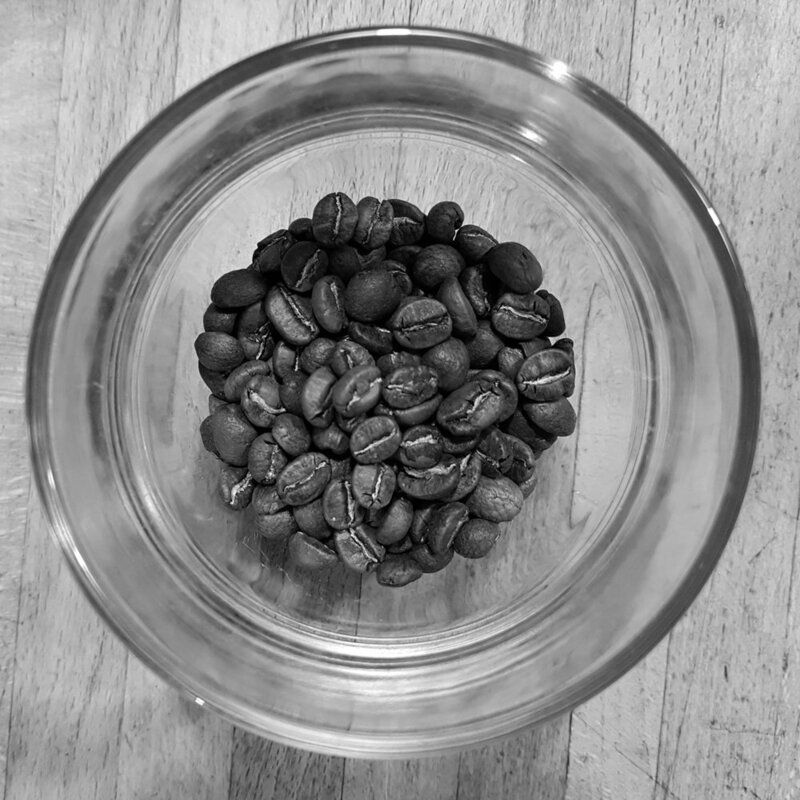 This particular Burundi is from the Mbirizi washing station in the Kayanza region, close to the border with Rwanda. The owner, Salum Ramadhan, pays significantly above the market rate for high scoring coffees, and divides the lots up depending on quality and location, hence Lot #7. Until recently, due to government control over the exporting process, it was very difficult to trace coffee from Burundi back to the source. This has started to change, however, with traceability being important to roasters and their customers. You can now trace some Burundi coffee back to the washing station, and soon hopefully the farmer. Roasted by Todd (cheers, Todd! ), the coffee arrives in a straightforward black pouch with simple info stickers on the front. Putting the roaster’s name on the bag is a nice touch, adding a bit of personality to the presentation. 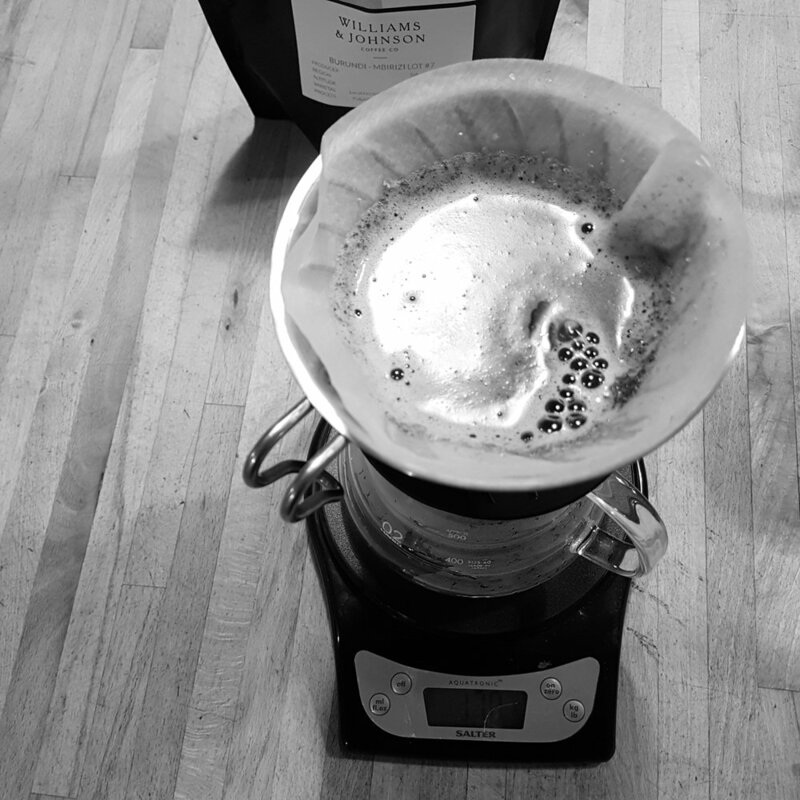 The dry fragrance is suggestive of a washed Ethiopian - lemon zest, chocolate, honey. However, there’s also a distinctive edge - a hint of pine trees in spring, perhaps - that sets it apart. There is a definite floral element to the cup as well, almost earl grey tea-like, adding a very slight and not unpleasant savouriness out on the peripheries. It serves to distinguish this Burundi from other African coffees I’ve tried recently. Nevertheless, the predominant flavour profile is one of sweet berry fruit combine with a rich, moussey body. The brightness is measured and unhurried, building up slowly as the coffee cools. This allows the sweetness to remain undimmed throughout the life cycle of the coffee, never overpowered but instead complemented by that rising brightness. The finish is clean and level, with a pleasant dryness right at the death. Burundi is one of the less acclaimed growing regions in Africa, its small size and recent history meaning it hasn’t had a chance to really focus on the quality that specialty roasters, and nowadays their customers, demand. As with many other countries in East Africa, it has laboured in the shadows of the more storied Ethiopia and flashier Kenya to the north. However, progress is clearly being made, and judging by Williams & Johnson’s offering here I would say that it’s time to pay more attention. 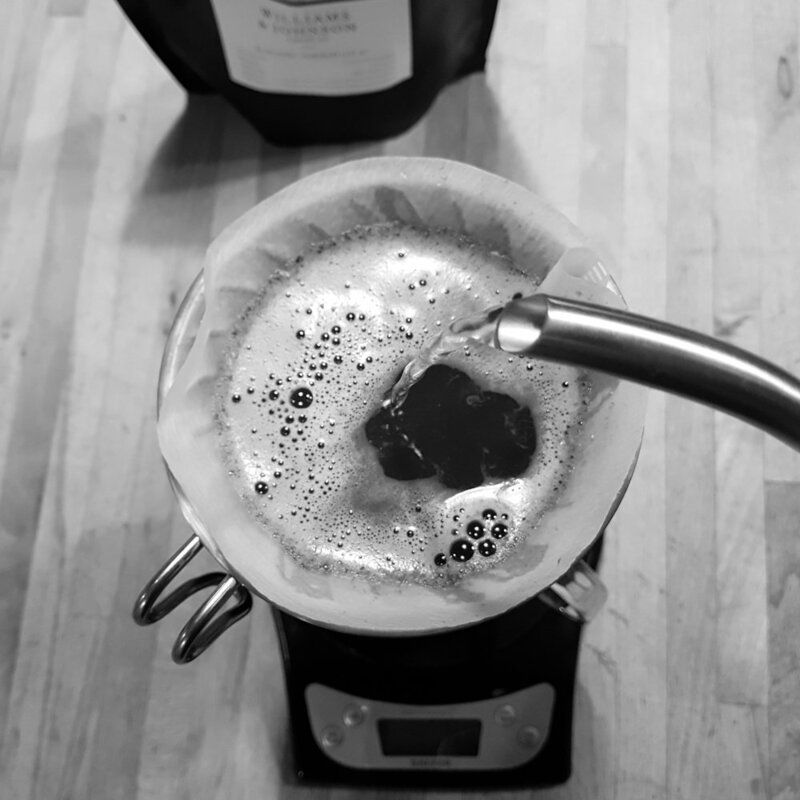 They have crafted something distinctive and slightly unconventional with this coffee, a washed African coffee base with some unique characteristics layered on top. Suffice to say it is well worth seeking out.